The 7 Best Craft Stores in Mississippi! Looking to bring out your inner artist? Craft stores are sure to foster your creativity. Whether it’s a side job or you simply find it therapeutic, the craft stores of Mississippi can help you scrapbook, paint, knit, and more. 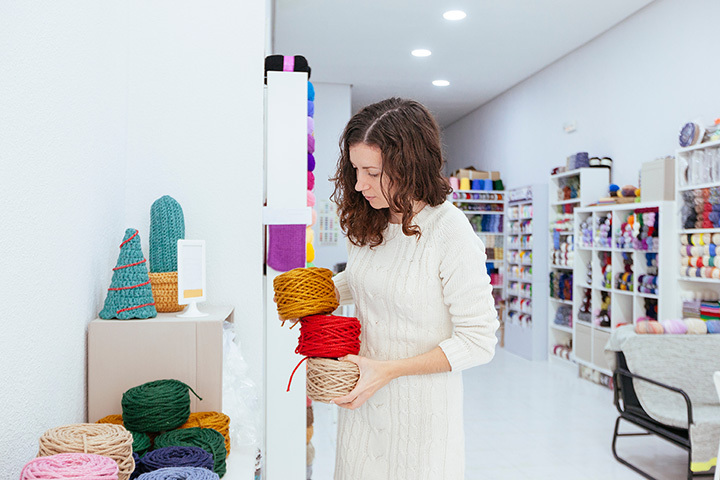 No matter what kind of craft suits your style, you can grab all the goods and gear you need to hone your skills at these seven excellent craft stores in the state! For all things vinyl crafts, the Vinyl Room is the only place you’ll ever need to go. They have every color of vinyl (over 500!) you can imagine to give your craft the exact look you need. They also sell all the extras, from heat presses to cutting tools, to help you start a crafting business or simply enjoy the world of vinyl as a hobby. This fabric shop is about as unique as they come. It’s located on a fully operational farm that used to grow cotton, and now offers some of the best fabrics in the state. You can sign up for embroidery or quilting classes here, or simply peruse their inventory to find that perfect piece of fabric for your next crafting project. Once known for their mobile crafting parties, the Mobile Mosaic Shop now has a brick and mortar location for parties or for whenever the crafting craving strikes. Walk in, grab your supplies, and get to work with some of the best guidance and expertise in the industry. This one-stop craft shop features a variety of crafts and decor to suit your inner artist. Stock up on items for weddings, parties, and events, as well as beads, candles, floral, paint, paper, and everything else your craft room is missing. Your own imagination is your only limit. This full-service bead store is the ideal spot for jewelry makers. Here you’ll find a huge inventory of beads and accessories to help you make one-of-a-kind jewelry you can sell or wear for yourself. If you want to get your feet wet in the jewelry-making field but don’t know how, sign up for one of their classes to perfect your skills. Calling all yarn junkies, this is your shop! With over 30,000 items in stock every day, you’ll never have to look anywhere else to fuel your yarn habit. They specialize in sourcing only the best yarns and materials from around the world, giving your project the highest possible quality. Sign up for knitting lessons, or choose from their extensive collection of instructional books. This creative sewing house has a strong local presence as well as a broad online following. You can find everything you need to start or continue your passion for sewing crafts and vinyl, even if you don’t live in the area. Their variety of classes will show you new techniques and tricks to help you broaden your skills, so make sure you take advantage.